I have southern roots. My feet are firmly planted in Los Angeles and have been for the majority of my 29 years, but my roots are most definitely southern. My mother was born in Vicksburg, Mississippi and my father in Memphis, Tennessee. My mother even bares the title of Miss Mississippi, but don’t tell her I told you. She’s not the beauty queen type and would be horrified to know you knew. They moved to Los Angeles in the 60s to plant new roots, and while the southern accents have faded, there are some things you just can’t get rid of. Of course, in my family, most of the things you can’t get rid of are food-related. Cornbread dressing at Thanksgiving, a possibly too generous use of salt in just about everything, the understanding that few dishes wouldn’t be better with at least a dollop of mayonnaise and on it goes. 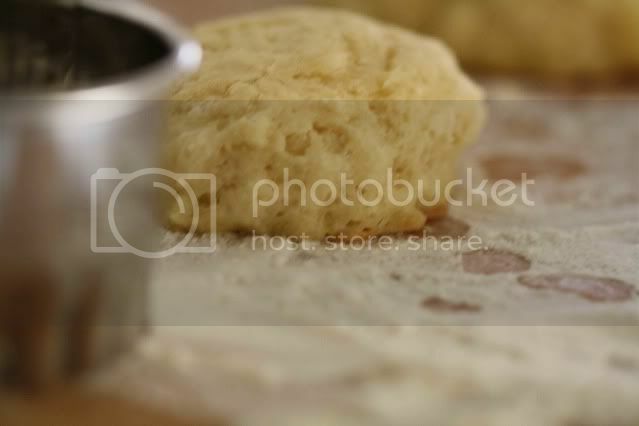 With this culinary background to draw from, you would think I would be the go-to-girl for buttermilk biscuits. I should have biscuits coming out of my ears, but instead, I’m hard-pressed to remember one batch of them from my childhood. Plenty of cornbread – no biscuits. So on a recent evening when a friend put in a special request for buttermilk biscuits, I turned to Martha, a trusted source for baked goods I have not made before. These biscuits are delicious and so quick to pull together you won’t feel right about how easy it was, but the feeling of unease will disappear as soon as you taste the warm, buttery goodness that just came out of your oven. Kudos to Martha for filling in the gaps of my southern roots. Just don’t tell Miss Mississippi - she’s not exactly the Martha type either. Place the flour, baking powder, baking soda, salt and sugar in a food processor and pulse just to combine. Take the cold butter from the fridge and cut into small pieces, taking care not to let the butter get warm. Add the butter to the food processor and pulse briefly just until the flour starts to look coarse. You should still have large pieces of unincorporated butter. Turn the mixture out into a mixing bowl and pour in the buttermilk. Stir gently, just until combined. Do not over mix. Turn the dough out onto a lightly floured surface and pat into a circle, about 1-inch thick. Use a biscuit cutter to cut the biscuits. Place on a baking sheet and brush with extra buttermilk. Bake for 18-20 minutes, slather with more butter and enjoy. Is there anything better than a hot biscuit? Tender and fluffy? Dripping with butter and honey? (My dad used to use maple syrup. )Your photos portray that perfectly. "in my family, most of the things you can’t get rid of are food-related" - that's not too bad!! Those biscuits look worth making often! Fresh biscuits with honey butter...nothing better. 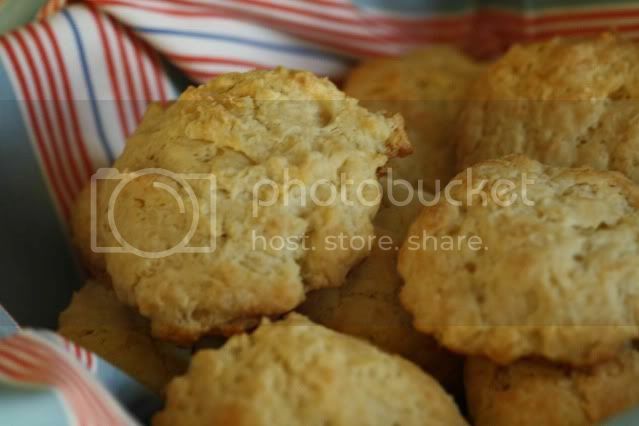 I love Southern biscuits, they are so wonderfully comforting and versatile! Nothing beats fresh buttermilk biscuits. Yum. Yum! These would be impossible to resist. Those look so buttery and delicious!! Mmm...I have a lot of delicious summer jams in the fridge and these look like just the thing to start using them up. Beautiful photos! I'm so glad to see biscuits made with buttermilk, as I really don't like them with cream. I think I'm going give these a try! 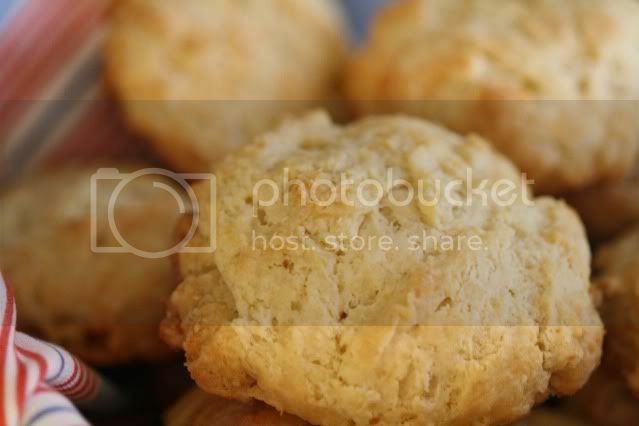 I'm feeling a buttermilk biscuit craving coming on!! I can never resist a good biscuit! Please send me an email to foodshots [dot] fs [at] googlemail [dot] com if you would like me to add your post to the Foodshots collection. I'm no southerner (though my husband is from kentucky), but I love biscuits. These look classic and simple...I'll have to bookmark them. most of the things you can’t get rid of are food-related" - that's not too bad! !